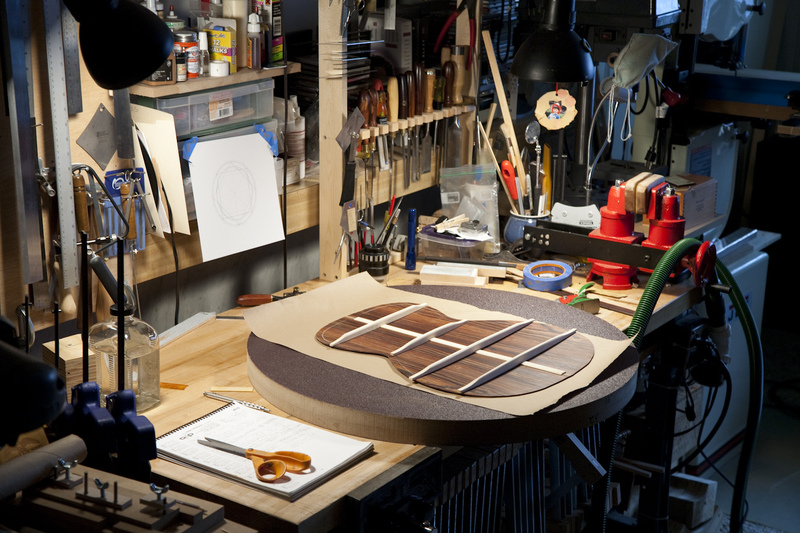 On May 8th., 2013, I will be showing photos and speaking about how I build acoustic guitars. The presentation will contain over 200 images highlighting the building process of my acoustic guitars from start to finish, the tools I use, woods, jigs, brace layout and assembly, attaching the back, top and sides together, creating my geometric rosette, making the bridge, bindings, neck forming and shaping, and the basic assembly process that I have documented while making several of my guitars. This event will be held at the Central Jersey Woodworkers Association Monthly meeting at the Old Brick Reformed Church, 490 Route 520, Marlboro, NJ, in the Church Parish Hall, located behind the church . I will have some of my completed guitars on display and my friend Frank Sole will play a few tunes on one of my instruments for you listening pleasure. I will also have samples of the woods used in the building process and templates to pass around for review. 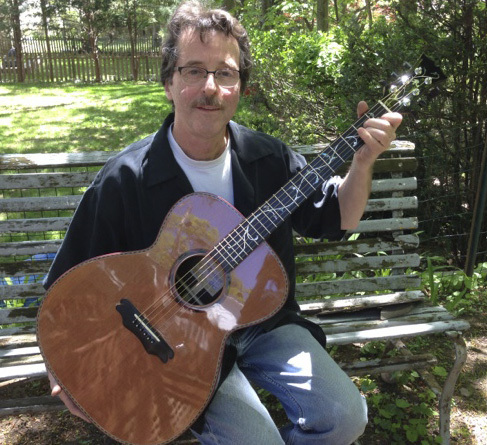 I want to thank the sponsors who are my suppliers of the woods and tools I use in the building process and have generously donated materials, tools and templates to help me demonstrate some of the steps used in making guitars. I hope you will contact them for any of your instrument parts and needs. Tony DiDomenico Guitars, finisher, Dale Bartholemew’s finishing shop, High Mountain Tonewoods and Alaska Specialty Woods. There is no charge to attend. I hope you can make the presentation and I hope to see you there.